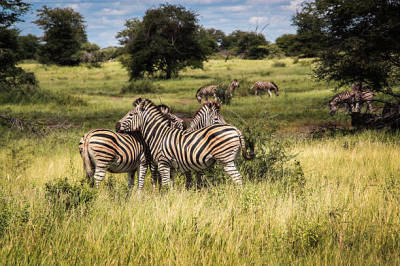 At the end of this article, you will want to visit Kruger National Park because you will know what you will be looking forward to seeing. Kruger National Park in South Africa and both the country and the park have so much to offer such that you will want to spend all your time in the accommodation that you can get when you are in the Kruger National Park. The Kruger National Park www.krugernationalpark.org.za is in two provinces I South Africa. These regions are Mpumalanga and Limpopo, and they both offer you an experience that you live to remember when it comes to South African Safari. In each extreme ends of the park, there are two rivers the Limpopo in the north and the Sabie River in the south. The distance between the two rivers is three hundred and fifty kilometers. The size of the land covered by the Kruger Park www.krugernationalpark.org.za is two million hectares or more, and this is why it is considered it could be the size of Wales. Kruger National Park was started in the year eighteen ninety-eight. Because of its size to has been reported to be one of the largest game sanctuaries or wildlife park in the world. The other thing that makes Kruger a great place to visit is the fact that it has three habitats that are very different. These habitats include grassy southern region, the central part that is the savanna region and the final area is the dry or arid mopane scrub land which is in the northern part of the park. In all these habitats in the park, every animal finds a habitat that is suitable for them to thrive. Africa is known for its big five, and when you visit the Kruger National park, you will be able to see all of these animals. If you are wondering what the big five are, they are the lion, elephant, buffalo, rhino and the leopard. Anytime you go to the park you asked to drive at a particular speed limit because if you turn too fast you will be scaring the animals and you will be altering the how the environment works. Also, you are driving around the park, and you see a family of zebras crossing the road you should not hoot the right thing to do is top and wait for all of them to pass. As much as you might think that the animals are beautiful and adorable, you should not forget that they are wild animals, so people are asked to stay in their cars. So you can enjoy the entire trip to the Kruger the best place to be staying in is in the accommodation offered in the park. You might also want to check out https://www.youtube.com/watch?v=c8i0hjegneY for related stories and information.